I'm dying to read this!!! Great review, I am really looking forward to the world-building in this novel. Looks like a blast!! Have my eye on this one. I was getting kind of hungry for a blog tour! It is always fun to look at other book blogs that I don't normally look at. I found out this book on someone's waiting on wednesday meme and loved the cover! Than I read the synopsis and it sounds great too! Can't wait to see more reviews for it. Black City sounds great, I can't wait to get my hands on a copy. Thanks for the giveaway! I've been wanting to read this since I first saw info about it back at BEA. Thanks for the giveaway! I'm already hyperventaliting with anticipation! I really, really want to read these books. They look so good. I love the covers on these. 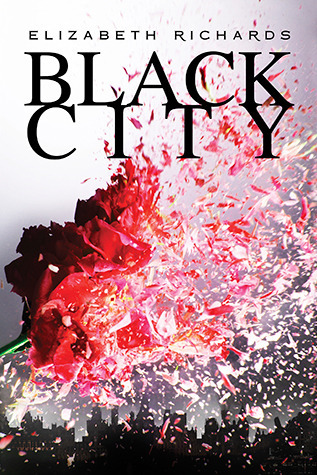 I can't wait to read Black City. I'm in love with the cover. So excited for the tour!!! This book caught my eye because of the cover, it just has that appeal. Thanks for the review. I can't wait to get a copy. Glad that you enjoyed. I really loved Ash and Nat too.